How chat bots can help you understand your customers and personalise offerings to them. 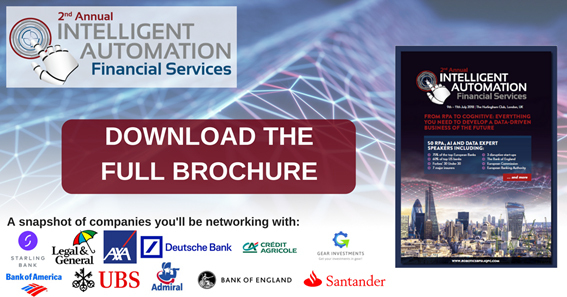 Join 60+ banking, insurance and financial services leaders as they discuss cutting edge automation topics, including; the shift from RPA to cognitive automation, nurturing unstructured data, the importance of bot IDs, real-time data opportunities, transforming the customer journey, back office machine learning capabilities and using intelligent automation to administer regulatory compliance. 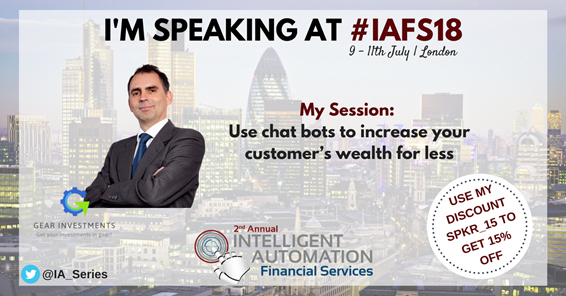 No other automation event caters to the financial sector better!